Preheat oven to 350. Combine the butter and sugars un a large bowl until fully combined. Add the egg and whisk until fully incorporated into the butter-sugar mixture. In a separate bowl, combine the flour, baking powder, and salt. Fold the flour mixture into the butter mixture in several additions until fully combined. Scoop tablespoons of the dough onto a baking sheet about 3 inches apart. 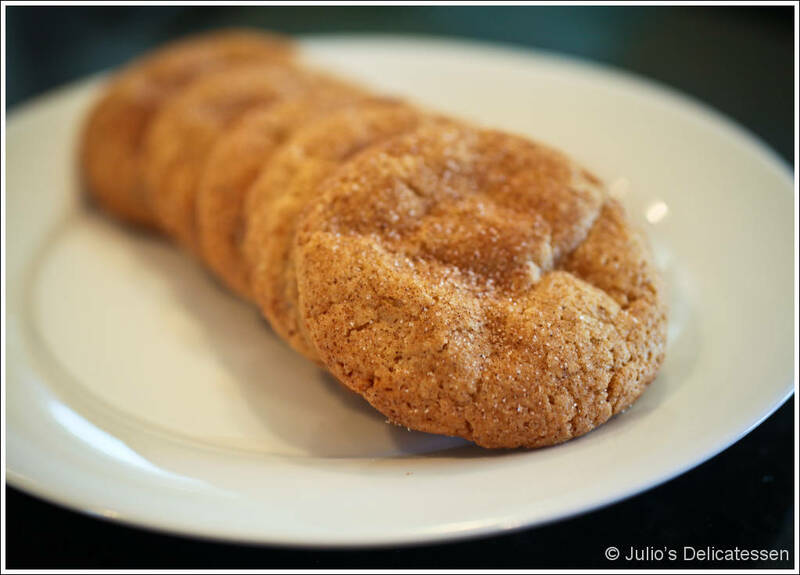 Combine the cinnamon and sugar and sprinkle the cookies with the mixture. Bake until the cookies are cooked through and the edges are golden – about 15 minutes. Sprinkle with additional cinnamon sugar after you remove them from the oven.